Spencer Fields understands he is walking away from a powerhouse tennis program. Under Fields, Carmel High School has won the past two boys and two girls state team championships. Fields recently left CHS to coach and teach at Brownsburg High School. Fields, a 1993 North Central High School graduate, will teach biology, and his wife, Kaitlin, will teach math at Brownsburg High School. They were in the same positions for three years at CHS, but the salaries are significantly higher in the Brownsburg school district, Fields said. 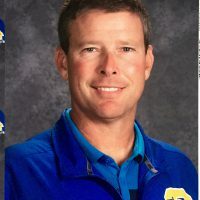 “My wife has her administration license, so we thought those opportunities might be better at Brownsburg as well,” said Fields, who won two boys tennis state team titles as North Central’s coach. The financial factor was the most significant one in their decision. Brownsburg’s girls team reached the state semifinals before losing to Carmel 5-0 on June 2. The Bulldogs captured their first semistate title this past season. The boys team has 18 sectional titles but has never won a regional. Kaitlin has been teaching for more than 11 years. The Fields have two children, Ryan, 5, and Abigail, 3, and live in Broad Ripple.